Richard Rawlings is an American entrepreneur, auto mechanic and media personality best known for Discovery Channel’s reality TV show Fast N’ Loud. The reality show is based on his Dallas-based Gas Monkey Garage, a car-building business that has brought Rawlings a net worth of at least $20 million. However, life hasn’t been entirely rosy for Rawlings especially in his personal life. His relationship with his wife suffered as a result of his quest to become rich and famous. 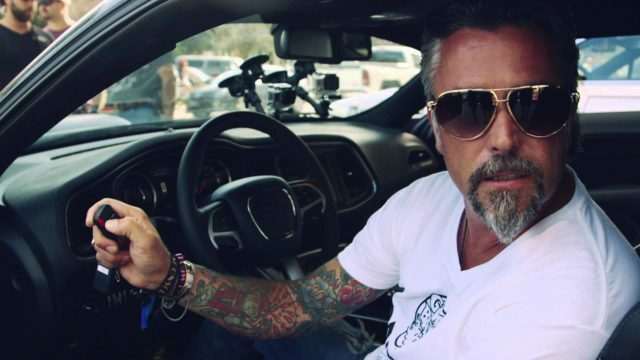 In this post, we will look at Richard Rawlings’ personal life, his wife, kids, house and his private car collection. Although Rawlings is best known for his marriage to Suzanne Marie Mergele, he first married a certain Karen K. Grames in 1993. However, that marriage did not last long. Rawlings and Karen divorced barely a year after their marriage. Few years after the divorce, Richard found love in the eyes of Suzanne Marie Mergele. They tied the knot in 1999 in Las Vegas, Nevada. Richard and friend Aaron Kaufman birthed the idea for Gas Monkey Garage with the long-term goal of taking it to reality TV. Gas Monkey Garage involved Richard traveling often and the effects began to tell on his relationship with wife Suzanne Marie Mergele. As a result of unresolved conflicts, Rawlings and Suzanne divorced in 2009. That was almost 3 years before Fast N Loud premiered. However, the show was at its promotion stages at the time and kept Richard very busy. Despite six years of staying apart, Richard and Suzanne remarried in 2015 in Cabo, Mexico. Despite their separation, they both remained in touch with each other. Begining from early 2013, they were spotted at events together. He also posted snaps of their second marriage online. Since their remarriage, Rawlings has taken to social numerous times to gush about his wife. Rawlings has never had kids with either of his wives. Richard Rawlings currently lives in Dallas Texas. However, we cannot confirm his exact house. On February 2017 a Youtube video surfaced claiming that a 4,000 sq ft home in Strong & Crossen subdivision, Dallas belonged to Rawlings. The video claims that Rawlings bought the house in 2015 for $1.7 million. Other amenities in the building are said to include a pool and cabana. Rawlings grew up loving and constructing cars thanks to his father who frequently took him to auto shows. Rawlings said he bought his first car, a 74 Mercury Comet at the age of 14. In order to keep alive his dream of owning many cars, Richard worked several jobs including law enforcement officer, firefighter, and paramedic. Before he graduated from high school Richard had gone through at least 20 cars. Today, Richard’s car collection includes Lamborghini Countach, Ferraris, Ford Mustang and Porsche from as far back as the 50s.